This is the graph of our weekly traffic from Jan 2014 through last week. The reason I wanted to share this is that over the last few months, traffic has been growing quite quickly. Sales have also reflected a similar growth. Overall Tindie has grown more than ever before. The interesting thing is we’ve accomplished that growth with fewer resources. At our largest, we were team of 5. We’re currently a team of 3. The reason I bring up that up is that with fewer people, we’ve accomplished more than at any point in Tindie’s history. While we deploy less code, we are making smarter decisions that are having clear impacts on the community’s success. One of the goals we set for 2015 was to raise the quality of listings on the site. At the end of last year, we had listings that were fantastic and some that were horrible - embarrassingly bad to be honest. In talking with other hardwarians, we heard how off-putting the bad listings were. “We don’t want our product next to that.” - which is understandable. If you’ve put months or years into a project, you want to show it off in the best possible light for the highest chances of success. The goal is to make listings resemble other successful listings - and ultimately raising a listing’s chances of selling. Exactly what everyone else does - from Airbnb to Kickstarter. Looking back at the graph above, as we rolled out these changes, you can see how traffic has increased quite considerably. The reason I bring all of this up is that lately we have had a few sellers balk at our efforts to raise the bar. Every one of the changes above has had some sort of push back from a very small minority of sellers. Tindie is a community - it isn’t a fiefdom. We listen and correct ourselves when necessary. I want to open a larger discussion on this topic. Our take at HQ is that these changes have had a positive impact on the overall community and that is reflected in traffic & sales across the board. Higher quality breeds higher quality. Poor quality listings only damage the reputation we’ve worked almost 3 years to create. But it would be great to hear everyone else’s thoughts. Do you care about listing quality? Regardless of our changes (we aren’t perfect), it would be great to discuss the overall goal. With the community’s support we can work towards the right implementation on the site. Do you want higher quality listings on Tindie? What do you think? One thing about “higher quality” listings I’m not sure about - What about products that seem listed well enough (IMO), but just don’t get any sales because they’re super “niche-y”? I have a couple of those (well, did; I archived them recently) that I would be content leaving out there for years just in case someone suddenly found it useful… or said “Hey I have one of those old boards, maybe this’ll breathe new life into it”. Do you have a stat the shows the conversion rate ie how many visits / hits convert into a sale. The balking may be because no one fully understands what a ‘Tindie’ quality listing is. So perhaps create a Tindie Ideal listing so that we have a better visual idea of what is needed - I am sure that is a reasonable request . . . I would presume that a buyer purchases an item because it’s eclectic, fills a need they have or is something cool that their friend showed them. Is the comment that adjacent listings dampen the sales of more successful listings supported by statistics? You page is perfect - exactly what we are looking for. Great photos, thorough description. Brilliant! 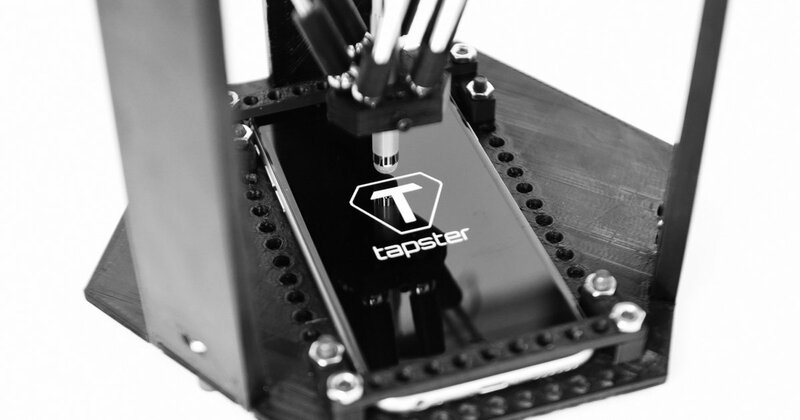 Tapster is a robot that automates mobile applications on a smartphone. Re comment - you are correct. It’s to give those already eclectic items the high chance of success. Most come to Tindie through long tail searches on Google. Once here, we want to ensure they have a good experience and a higher chance of sharing with their friends. I plan to become a seller at Tindie. While I am still working in my first product, I also keep visit Tindie daily to better understand all this environment community. So… one thing that I am missing (as a user and as a seller too) is a list of products that was developed by “real makers” that are listing here in Tindie. I know when you create a product to list there is an options “Who make this product? You? someone else?”, but, I dont see that options to search for products and one thing that don’t make me so happy is that in the browse/search there are products made by “local makers” and imported items products from “china” that you can find in all other online stores. So as a seller I would like that my products to be listed as side as other makers products, and that I believe would help to rise the quality… I’m not sure how can this be processed… but it is not nice to see good products mixed with “industrial cloned products” and “misc accessories”. I don’t mean that it should be banned… but… listed some other way (or only appear in the seller store)? Related with the quality (and with other thread related with "how to get trust from buyers before buy), I miss in the front page of Tindie something that put products in relevance and something that can show the maker. For example, a blog entry (in front page) that announce a new product and have a small history about the maker and the product… it will work something like “We are putting trust in this product and maker” and works also as an advertising. This will create trust and references, buyers will understand that are deal with real people and not to a “automatic processes online store”. Hope I have contribute with my vision / opinions. @gliderbits welcome! thanks for contributing! 2nd point - This is a super fair criticism -and something we were talking about internally yesterday. 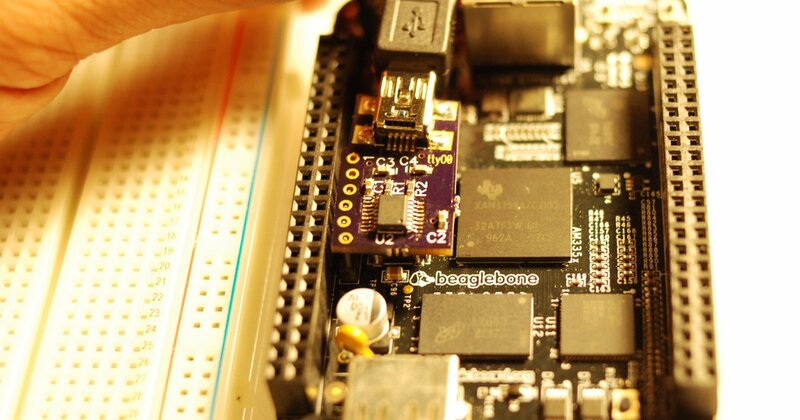 We do have a blog, but isn’t something that we generate content like Sparkfun on. The simple reason is well we don’t have access to all of the products like they do. On the comments/ community on product pages, we have thought from time to time about adding Comments on product pages. It never really got anywhere. But you are 100% right we should do more on community activity. I’m going to start this convo on another topic to thoroughly discuss. Re featured sellers/products on the front page - good idea. No problems with that one either! Re: 2nd Point @emile, We would be happy to send you products for blogging about so long as they would not just be ignored and forgotten about. I’m sure other sellers would too. Just something to think about… you may have more product than you think at your disposal. @ubldit thanks for the offer. Let’s hold off a bit for now. We need to do a bit of clean up before we go all in, but we are going to begin cleaning up the blog so that we can better utilize it. No timeline, but I’d say in the next few weeks. I would suggest to allow the sellers a separate blogging platform (as a subdomain under tindie) to write demo tutorials, blogs, and projects using their products. Seriously, will you (Tindie team) have time to review or blog about our products? If you let us do that, Tindie will have a tremendous growth of content in a short time, which will bring more organic traffic to us and growth in sales. The sellers can provide links to those pages on their product listings. I am not sure if allowing comments on product pages would be a good idea. I think that should be limited to customer’s reviews and feedback. However, I do have one more suggestion. Just like datasheet and documentation, we should have a Q&A link for the product. Most of the time, I get very similar questions about my products. A Q&A section would save my time for answering to the repeating questions. @Rajbex that is an interesting idea. If we added it, I wonder how many would actually use it? If we feature seller posts in the blog, and we have so many posts we can’t keep up, then I think the next step would be to add more functionality. Re: Q&A - we did have it for a while, but wasn’t a largely used feature. One work around, add a section in the product description that is static content.